NZXT today has branched out rather strikingly into the highly competitive field of PC motherboards. Its first motherboard is based upon Intel’s Z370 chipset and is called the NZXT N7 Z370. This ATX board looks quite different from its competitors in a minimal and purposeful way, echoing the design ethic we see in many NZXT PC chassis. 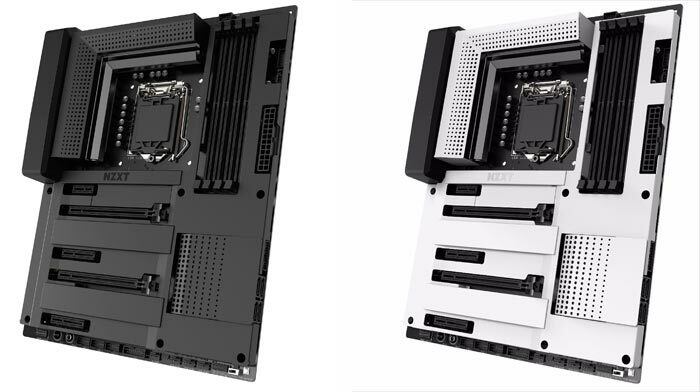 According to NZXT it has leveraged “more than 12 years of experience as professional PC builders,” in order to formulate this first motherboard design. Everything is included, alongside Intel’s Z370 chipset, in order to build a powerful, stunning gaming PC, it says. There is a built-in digital fan controller, integrated RGB lighting channels, plus excellent hardware customisation options. The above smart controls for modern niceties like fan and RGB LED control will be appealing to many. Built-in are two RGB lighting channels and nine fan channels. Looking at the customisations mentioned above together with the all-metal covers in white or black allows users to easily match or complement common chassis colours. Adaptive noise reduction uses an on-board sensor which measures and learns your system’s sound characteristics to find a good balance between fan speeds and cooling levels. NZXT claims that it can save users time in creating custom fan curves via machine learning, reducing fan noise by up to 40 per cent. 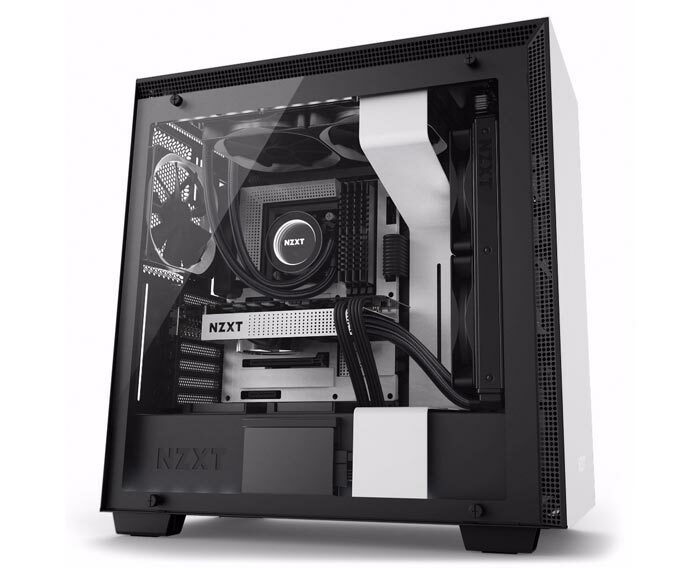 The NZXT N7 Z370 will become available in the UK from 22nd January at an MSRP of £329.99 inc VAT.